Most cases of acute sinusitis arise with the common cold. It usually does not require and treatment and will clear on its own within a few days. In fact many people do not even know that they have sinusitis when they are down with a cold. However, in some instances acute sinusitis may require treatment with drugs like antibiotics. It is usually people with a history of allergies and other nasal problems who will tend to get a more severe case of acute sinusitis. Most cases of acute sinusitis are due to viral infections. There is usually no need for medical treatment at the outset and the condition will resolve on its own for most people. But rest is important. It allows the body time to recover as the immune system is able to fend off the virus. Proper nutrition during this time is also crucial as it will provide the body with the necessary resources. Just as important is a good fluid intake. It can help with ensuring that the nasal mucus is thin and runny to allow for the sinuses to drain properly. But caffeinated beverages and alcohol should be avoided as it dehydrates the body. Furthermore, alcohol weakens the immune defenses. 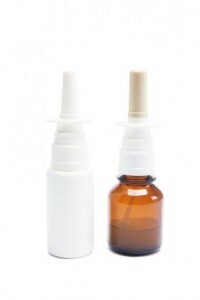 Saline nasal sprays are inexpensive and available over-the-counter. It is one of the best ways to treat acute sinusitis and even prevent it but most people do not use it until they need to. When you have acute sinusitis, saline nasal sprays help with unblocking any nasal congestion and allows the mucus with debris and microbes to drain out of the nose rather than being retained in the sinuses. In fact frequently using a saline nasal spray, even if you do not have a nose infection or sinusitis, can help keep the nasal and paranasal sinus lining healthy. For maintaining healthy nasal linings when not ill, spraying just once or twice a day will suffice. However, a saline nasal spray should be used more frequently if you have acute sinusitis. Steam can be helpful in moistening the nasal and sinus passages. Not only are moist linings more healthy but steam can also help in allowing the congested mucus to drain out. The warmth of the vapor is also helpful in providing moderate pain relief. Humidifiers can be used to increase the moisture content of the air within a room. But a better way to get the steam into the nasal passages is to cover your head with a towel as you breathe in the vapor from a bowl of hot water. Menthol crystals are sometimes added to the bowel of hot water to give the steam a strong menthol smell. It stimulates the nasal passages to secrete more mucus thereby aiding with drainage. A saline nasal spray is one of the best ways to rinse out the nasal passages. But the small doses of saline delivered with each spray may at times be insufficient to rinse out the mucus. Alternatives include squeeze bottles and neti pots which delivers large amounts of water into the nasal and sinus passages. The water should be sterilized by boiling and then cooling if distilled water cannot be sourced. This method of washing out the passages is known as a nasal lavage or nasal irrigation and can be done at home. However, it is important to practice good hygiene and thoroughly clean the squeeze bottle and neti pot between uses. Lying flat does not allow the paranasal sinuses to drain properly as the effect of gravity is negated. 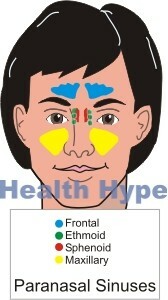 Therefore many people may find their sinuses are even more congested when they wake up in the morning. The congestion can also affect breathing and quality of sleep. For this reason it may be advisable to sleep with the head elevated. An extra pillow or two to prop yourself up can usually do the trick. But make sure that you are not straining your neck and back with an awkward sleeping position. Muscle strain by sleeping badly can cause a headache or worsen an existing one. Cigarette smoke and other airborne pollutants are known to increase the chance of developing acute sinusitis. It worsens allergies, reduces the immune defenses of the nasal lining and body as a whole and can irritate the passages. Smokers are obviously at risk but so are non-smokers who interact closely with cigarette smokers, either at home or at work. Children in particular are prone to cigarette smoke. Therefore it is important to stop smoking if you are a smoker or stay away from smokers. Avoiding cigarette smoke can speed up your recovery time from acute sinusitis and prevent the problem from persisting. Many people who develop severe acute sinusitis tend to have a history of hay fever (allergic rhinitis) or allergic sinusitis. These conditions need to be treated and managed over the long term. Often this means using chronic medication daily. Stopping these drugs can worsen the rhinitis or sinusitis and increase the chance of an infection. Ensure that you take your allergy medication as prescribed. While the allergies may not be easily treated, it can at the very least reduce your risk of contracting an infection. Remember that even if your chronic sinusitis symptoms do not ease completely, you must use the medicines daily as your doctor advised.